You can add egg too if you eat egg. 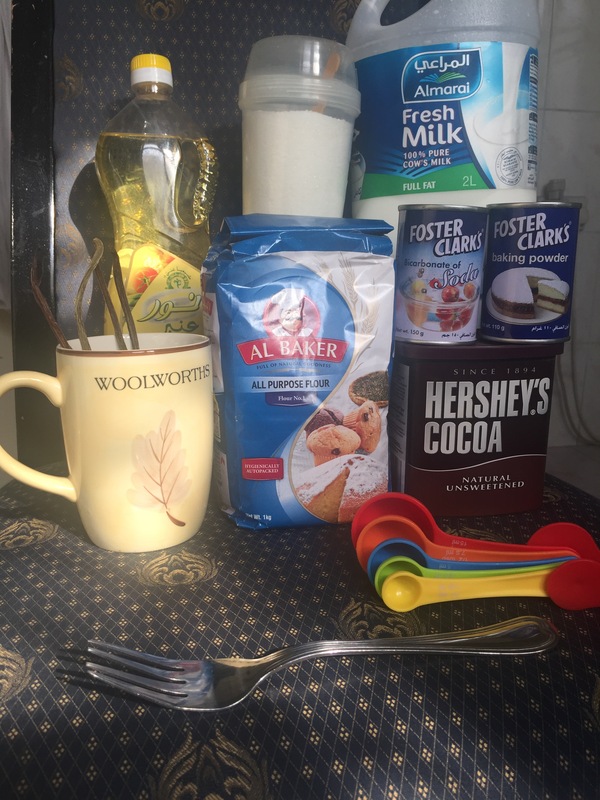 Get yourself a big Mug add all the ingredients and mix everything well. 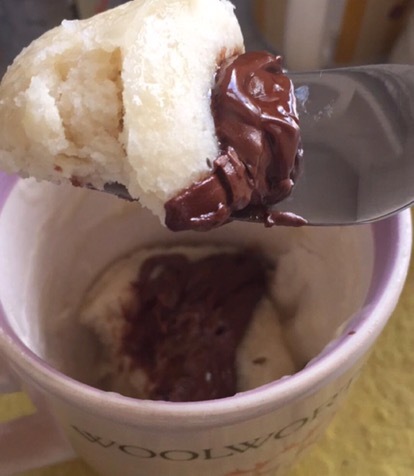 As you’re done mixing add a good 1 -2 tablespoons of Nutella in the batter or on the top on the batter. Pop it in the microwave for 2-3 Minutes. The time may vary with different microwaves.